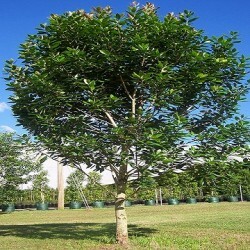 A native evergreen tree with larger shinier leaves which starts with contrasting copper new growth and turns to deep green, bearing clusters of yellow flowers in summer. Temperament: Frost and drought tolerant. 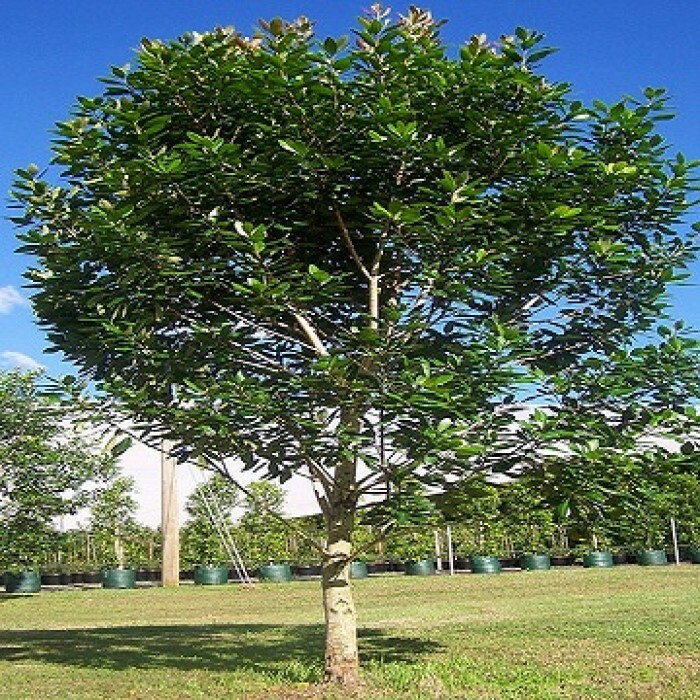 Perfect for: Shade tree, specimen tree, screening.